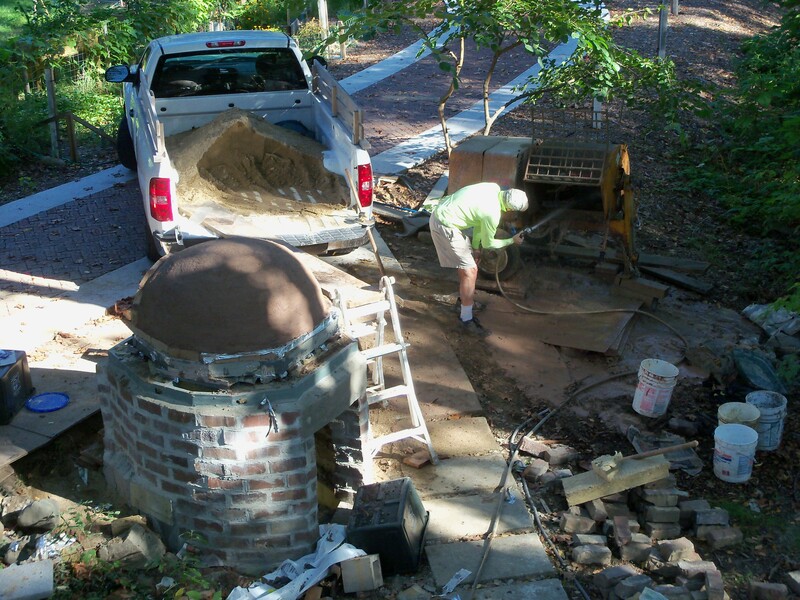 November 26th…We had some warm days this fall so I was able to stucco the oven and get most of the brick patio done. Fire pit is in the foreground. 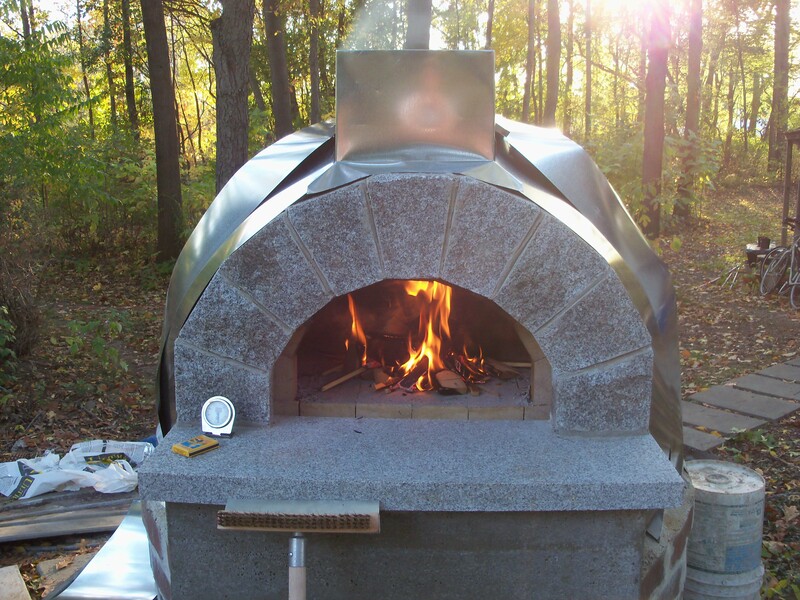 Pizza and bread from a wood-fired oven is incomparable! 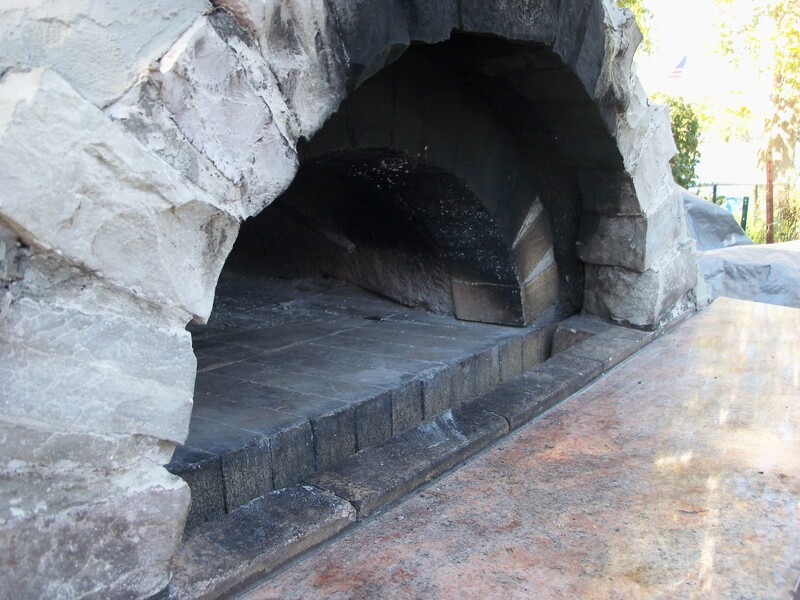 This oven has a granite archway and sill. 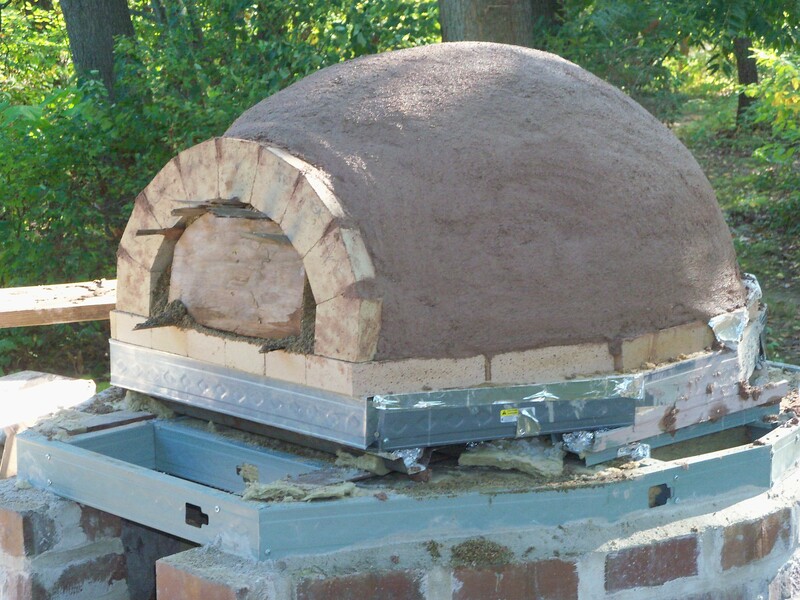 The clay dome is covered with with a layer of mineral wool for insulation. 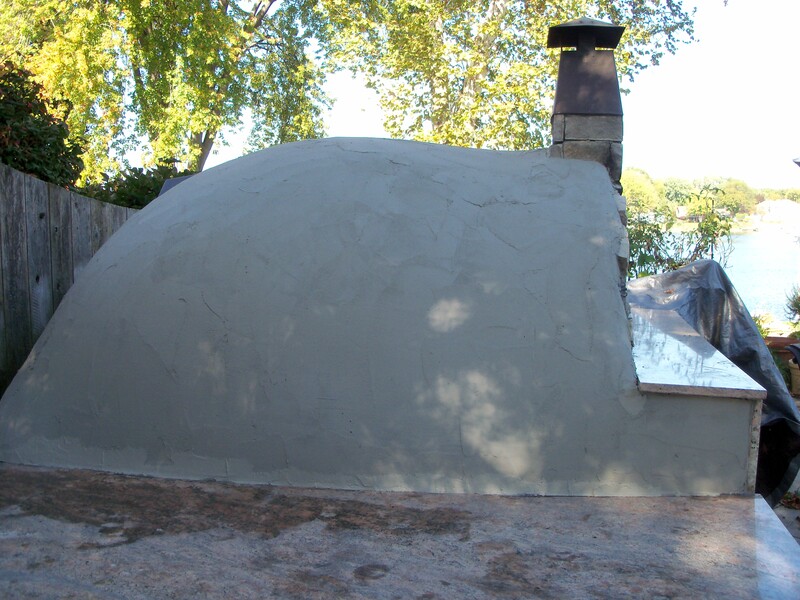 The dome has steel flashing on it which will eventually be covered with a stucco finish. 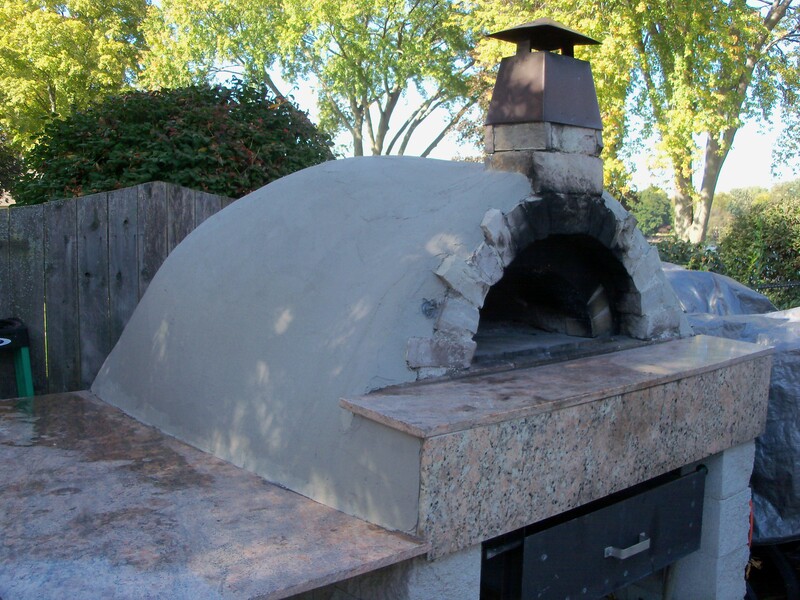 Pictures below are of a very large oven which I built a number of years ago for the owner of an Italian restaurant. It is in his backyard in Elkhart, IN.